Brignolia ondaatjei and Brignolia shyami are small goblin spiders. In August of 2016, two new species of spiders were named for Canadian authors Michael Ondaatje and Shyam Selvadurai by the National Institute of Fundamental Studies, a Sri Lankan research body. Brignolia ondaatjei and Brignolia shyami, small goblin spiders, were discovered after a survey was conducted in Sri Lanka, according to a new research paper by U.G.S.L. Ranasinghe and Suresh P. Benjamin published in Zootaxa. 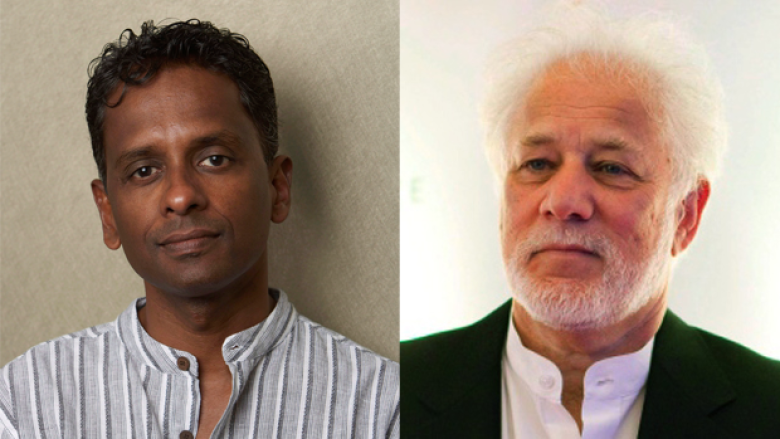 Both Ondaatje and Selvadurai were born in Sri Lanka and currently live in Canada. A goblin spider was also named for Sri Lankan poet and writer Carl Muller, author of the trilogy The Jam Fruit Tree, Yakada Yaka and Once Upon a Tender Time. It is called Brignolia carlmulleri. Ondaatje is one of country's most celebrated writers. He won the Man Booker Prize for his novel The English Patient, but the paper's authors, Ranasinghe and Benjamin, say their favourite novel is Anil's Ghost. Ondaatje's spider is a reddish-brown colour around 2 mm in length. "Well I am thrilled of course, that it also happened to two of my favourite writers/spiders — Shyam Selvadurai and Carl Muller," said Ondaatje in an email to CBC Books. "I thought a small creek would be enough to have my name attached to or a lane like the one bp Nichol got. But the goblin spider of Sri Lanka certainly raises the bar. I believe Gary Larson who created The Far Side cartoons had his name attached to species of chewing louse found only on owls. (He knew, he said, that no one was going to attach his name to a new species of swan). But I am happy with the Brignolia ondaatjei with its dorsal scutum strongly sclerotized. Now the fear is that they might become extinct." Selvadurai is the award-winning writer of Funny Boy, Cinnamon Gardens and Swimming in the Monsoon Sea. "This came as a complete surprised and I was thrilled. It's so surprising too that anyone would think to honour writers. Usually it's other scientists or political and social leaders," said Selvadurai in an email to CBC Books. "I also felt particularly happy to be recognized in Sri Lanka in this way. It validated all the work I do in the country in terms of reconciliation and also my work as curator of the Galle Literary Festival. And of course my novels too." Selvadurai's spider is a pale yellow colour and generally between 1.4 mm and 1.5 mm in length. Researchers Benjamin and Ranasinghe told Sri Lankan newspaper The Island that they are concerned the species may be critically endangered as a result of tourism, housing and agricultural practices.